Is My Baby’s Feeding Development Typical? 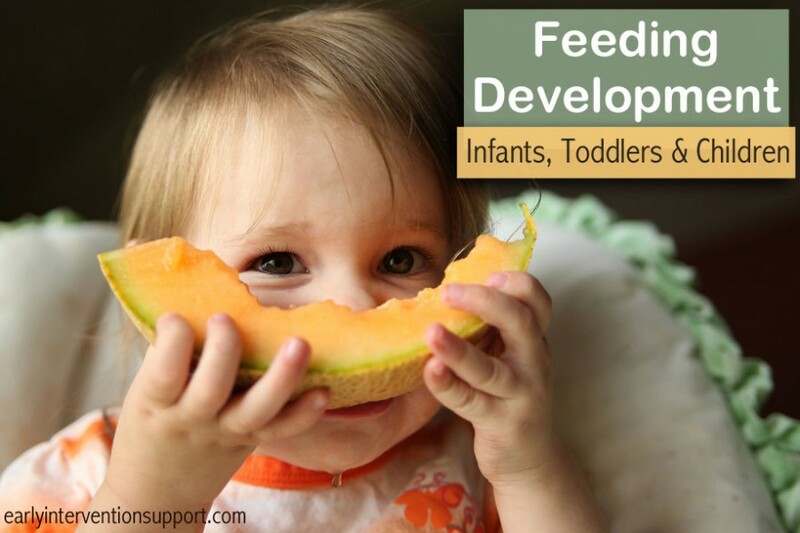 Successful baby feeding requires appropriate motor development throughout the body and mouth, good sensory integration techniques, healthy routines, and most of all an enjoyment of the experience! Eating is a huge part of our lives. When it does not work as you expect or is a stressful event – tension inevitably develops. Read about the specific feeding milestones by age group here! Developing feeding skills are crucial for a host of reasons including basic survival, social interaction, exploration, and communication. There is nothing more troubling to a parent than a child not eating and/or growing. Feeding concerns arise from a variety of mild to severe causes. The earlier your child’s concerns are addressed and recognized, the more likely secondary problems, such as behavioral and relationship problems, can be avoided. A study of 160 Failure to Thrive (FTT) infants in Montreal with an average age of 8.8 months, concluded the average age of onset of feeding problems was 3.1 months and the average referral time by pediatricians for help was 19.2 months (1999 Ramsay). There are a number of professionals who may offer support and recommendations, including but not limited to, speech therapists, occupational therapists, nutritionist/dietician, psychologists, and physicians. It is always best to start with your child’s pediatrician. Report specific concerns you may have related to your child’s food intake, behaviors, and discomfort observed during and following mealtime. The pediatrician has been monitoring your child’s growth (height, weight, head circumference) and will be able to assess the progression curve of growth. There are a variety of ‘normal’ growth patterns. Consistent growth is a key factor. Linear growth (height) is the best measure of long term nutrition. In general, babies should triple birth weight by 12 months and increase length by 50% (2002 Tarbell). It is difficult for a pediatrician to observe meal related behaviors during a 5 or 10 minute office visit. Therefore a brief video at meal time with your child demonstrating undesired behaviors can be great tool to support your concerns. Your pediatrician can recommend/prescribe an evaluation from a therapist or clinic specializing in feeding problems. It is best to seek out help as early as possible. Some feeding concerns may be minor and resolved quickly. However, other concerns may disrupt family meal routines and daily functioning, or be severe enough to impair your child’s health.